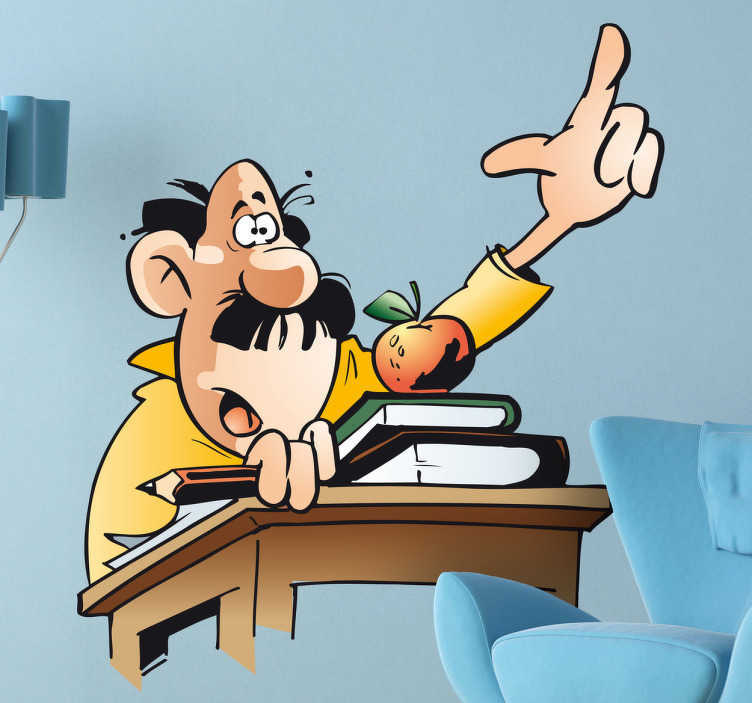 Man putting his hand up in class wall sticker with books and fruit. Here we see a man sitting in class and putting his hand up almost jumping out of his seat to answer the question. He has his book and an apple the wall art is cartoon themed giving it a humour element and reminds you of the cartoon shows.